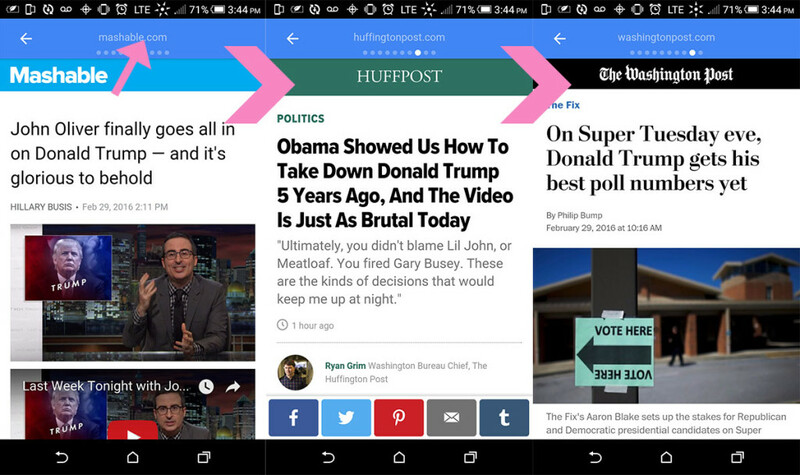 What exactly does Google AMP look like? Patrick Coombe / Blog / What exactly does Google AMP look like? 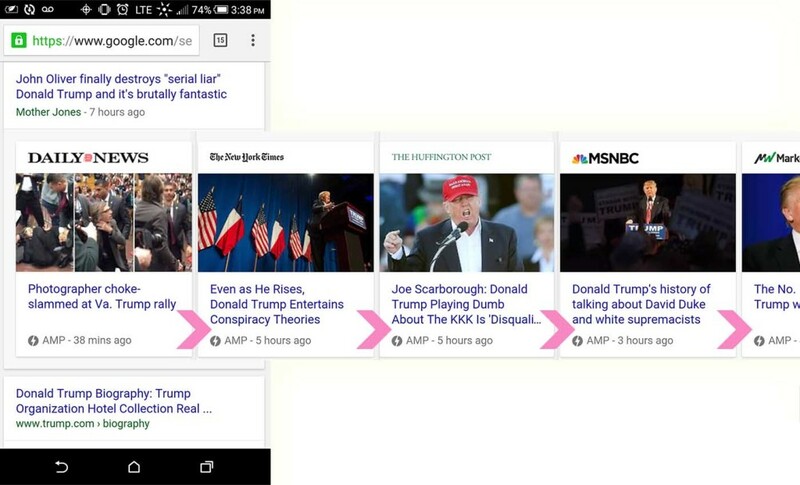 For those of you who still haven’t seen Google’s new AMP live in action, I grabbed a few screen shots to see what the big deal is about. 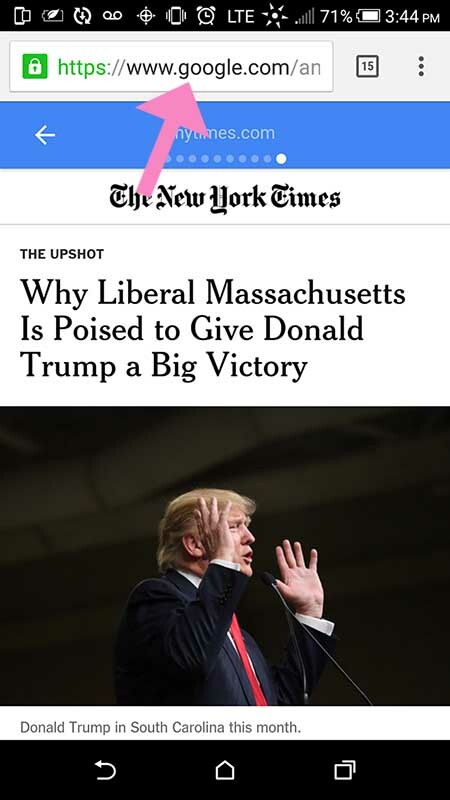 For starters, the results tend to show up for in Google search results that have news scroll-able news snippets, not necessarily in the “news” section but a lot of the times in the main search results. Here is one SERP for “donald trump” that I came across recently. Note the “AMP” indication towards the bottom of the snippet, that is generally the best way to tell the SERP is AMP enabled. Once you click on the result it will then take you to the AMP enabled page, which technically is still part of Google search engine. I.e. you aren’t technically “on” the website at this point, you are still on Google. Google basically indexed the page and is showing it to you. Much like the AMP enabled search results, with many AMP enabled pages you can scroll or swipe left/right to view the next article or page. As you can see, you are browsing the AMP enabled page, but you are still “on” Google as this happens. This is AMP in its most basic form. If you have anything to add, please do so in the comments.